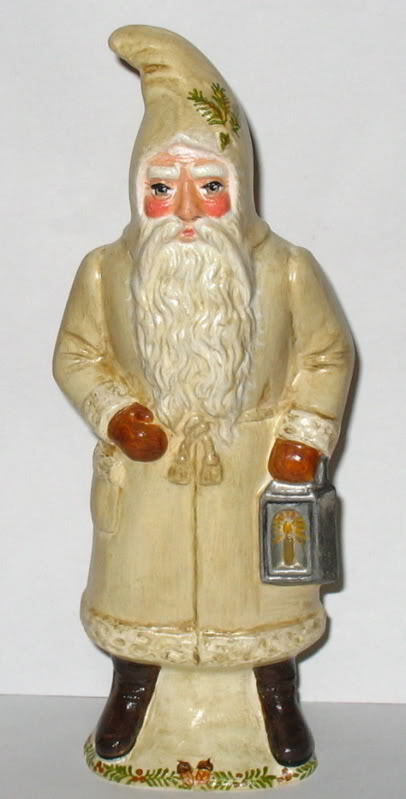 Of special note: Cast in chalkware using a wonderful rare antique tin German chocolate mold, measuring approx 7 - 1/2 inches. 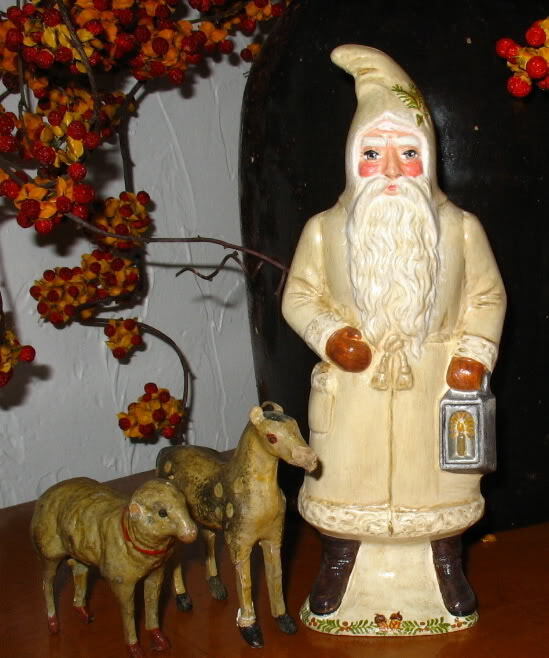 The Belsnickle Santa with Lantern is painted with a cashmere antiqued white coat, trimmed in feather tree sprigs and acorns. Displays beautifully with folk art primitives, redware and salt glaze pottery; dated, numbered and hand signed " Bittersweet House Folk Art, Kathryn Campbell, Sherborn, MA".